In ancient times, a man named Izanagi was in heaven looking down on the earth. He dipped his jeweled spear into the pool and when a droplet fell from it, it created an island. When Izanagi met up with his lover Izanami they married and created the other seven islands of Japan. Along with this they created the seasons, mountains, and everything in nature. After this, Izanami died of a burning fever and Izanagi was left heartbroken. Crazed with grief and love for his dead wife, Izanagi searched the underworld to see her one last time. When he saw her, he was horrified to see that she had become a rotting corpse. Embarrassed by Izanagi seeing her, Izanami vowed that 1,000 people in Japan would die as revenge for Izanagi seeing her. 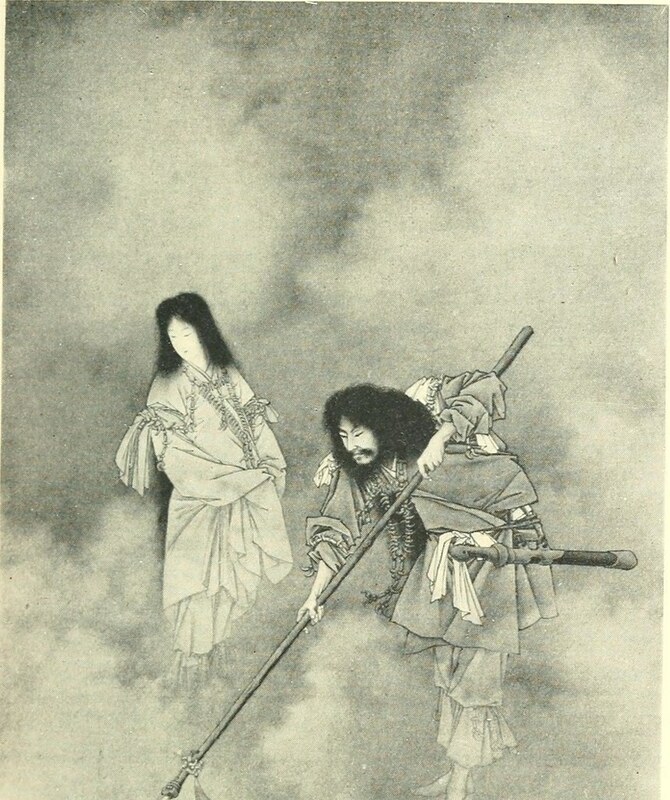 Describing how Izanami looked in the underworld painted the picture of what it was like to see her after she died. Another thing that helped to understand what was going on was how the author described when Izanagi created Japan and how he did it was really nice. Nice job! Thanks for getting this in! © 2019 Modern English Research Project: Japan.